The Daily Dimwit: Birthday Money Arrives! I managed to pull an auto out of the rack pack, is Mahtook any good? 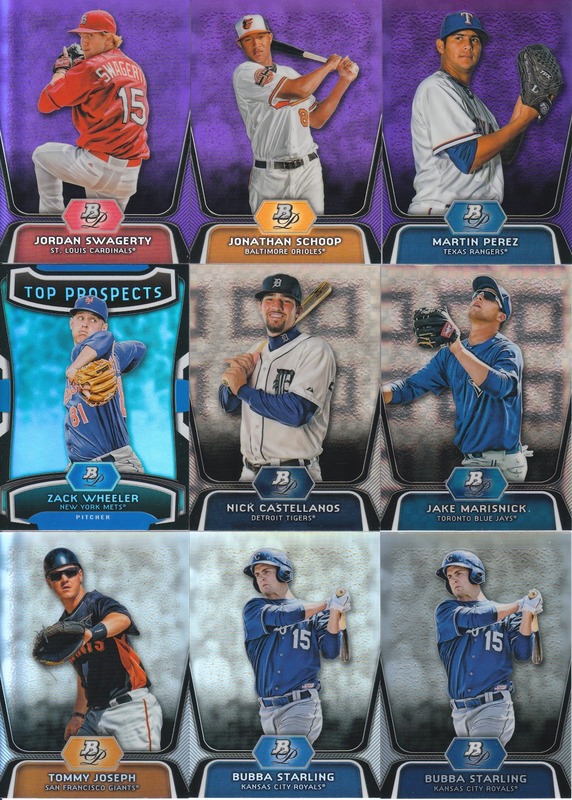 It's the blue level refractor /199 as well... not too shabby! 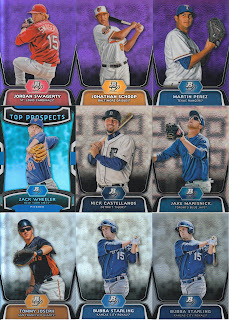 Yes, I now have 2 Eric Hosmer die cuts... I got some good names on my numbered parallels as well. 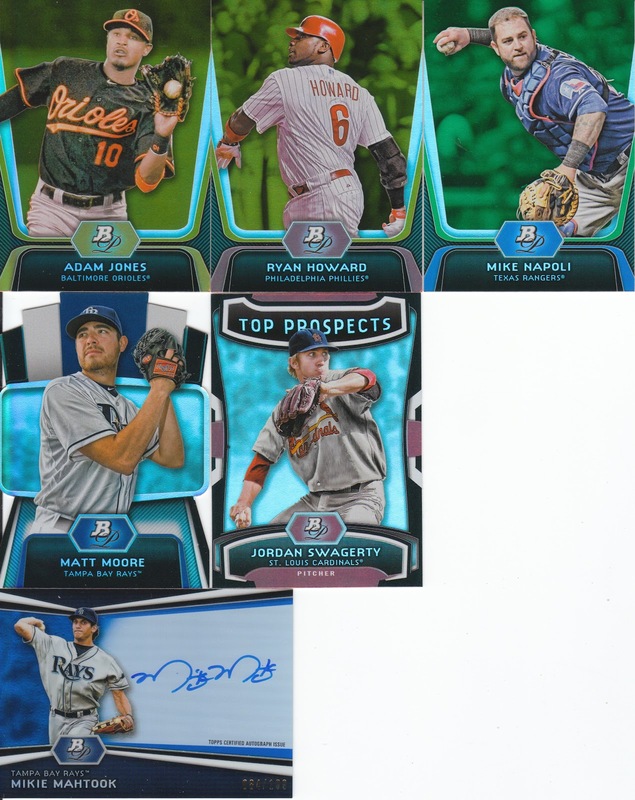 Matt Moore RC base auto for one auto and the other is a guy I've never heard of and will most likely be in the Astros bullpen in a few years (we love our washed up relievers). 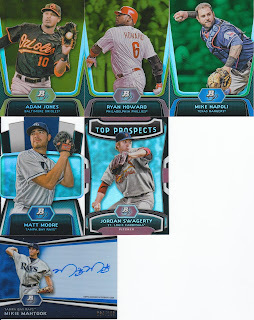 I REALLY like the parallel refractors and I would go nuts if I got one of those hot boxes were all the cards are at least base refractors. If I had tons of money, I would try and put together a sepia set as well, those cards look AWESOME. Have a great day everyone! 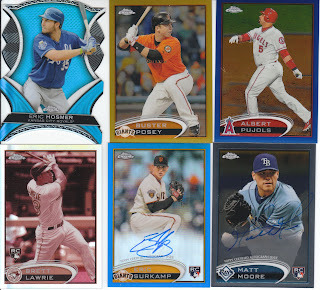 That should have been my box of Chrome with the Posey and Surkamp! Pretty good breaks. Lotsa nice stuff in there. Congrats! Nice pull (again) on the Hosmer! Those die-cuts are pretty futuristic-looking.